Mediterranean art provokes feelings of relaxation, sun, good food and wine. The Mediterranean Sea touches France, Italy, Spain, Greece, Turkey in Europe - as well as many other countries in Asia, Africa and the Middle East. 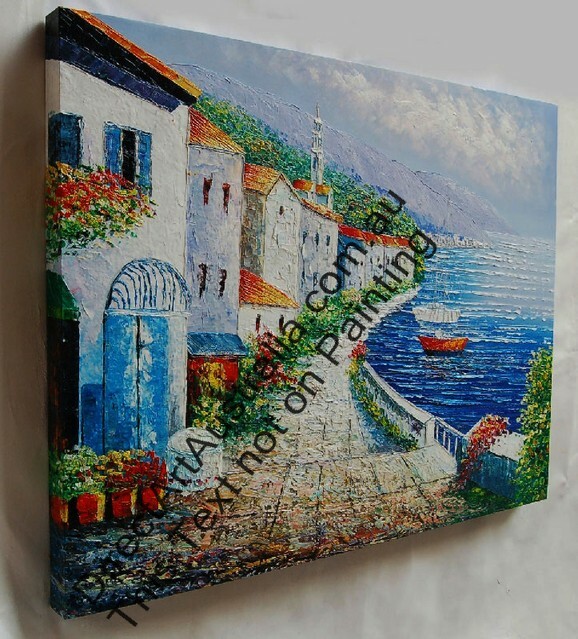 Choose from our diverse range of hand painted oil paintings featuring Mediterranean themes and scenes. Direct Art supplies you amazing oil paintings on canvas - 100% hand painted - no prints or posters! Direct Art is Australia's oldest and most trusted oil painting supplier with over 8 years in business.